Internationalized Domain Names (IDNs) enable people around the world to use domain names in local languages and scripts. IDNs are formed using characters from different scripts, such as Arabic, Chinese, Cyrillic or Devanagari. 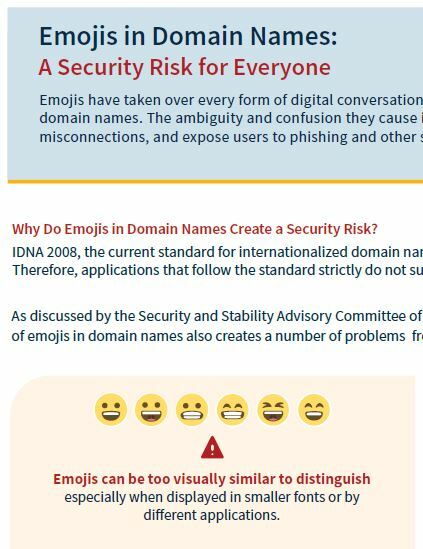 These are encoded by the Unicode standard and used as allowed by relevant IDN protocols. 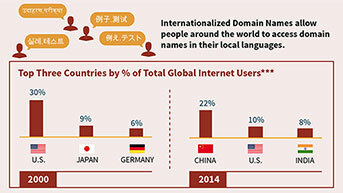 ICANN has instituted the IDN Program to assist in the development and promotion of a multilingual Internet using IDNs. The program is primarily focused on the planning and implementation of IDN top-level domains (TLDs), including IDN country code TLDs and generic TLDs. The IDN Program also supports projects geared towards effective use of IDNs at the second-level of the Domain Name System, as guided by the community. A community driven project aiming to define conservative mechanisms for introducing IDN TLDs into the Internet's Root Zone in a stable and secure manner. A project to support the development of policy and procedures for implementing IDN variant TLDs. An application that enables users to create, use and manage IDN tables in the formal, machine-readable format, called Label Generation Rules. Fast track process created by Internet community for evaluation of top-level IDN labels representing countries and territories. Recommended practices developed through a community-led process to reduce user confusion and promote consistent use of IDNs for registries implementing IDNs at the second level. Reference second level LGRs, reviewed by experts and community, being provided to assist registries offering IDNs during Pre-Delegation Testing and the Registry Service Evaluation Process. Visit our Resources section for useful links and related documents.